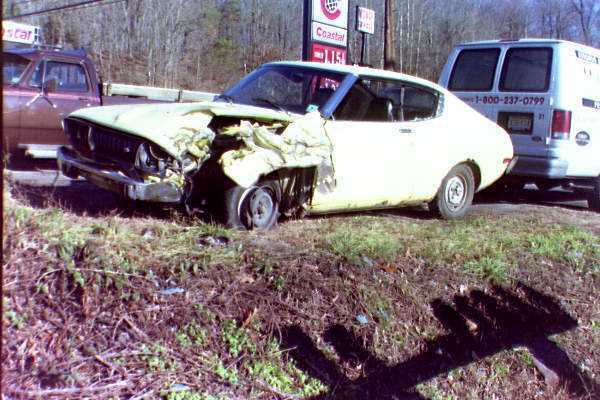 Look at that car... it was at one time completely intact and not a scratch on it, before my friend Jay Seyfried got hit by another car on his way to school. I've hit four deer, a guardrail, and my friend's dad's jeep and my car still never got that wrecked... Jay likes the band TOOL too, which is where the picture underneath came from. If anyone else wants me to make them a page, just send me pictures and whatever else and I can make it for you.